National pride and Liverpool star Mohamed Salah has emerged as the runner-up of Egyptian presidential polls though his name was not on the ballot paper. Actually, thousands of voters crossed out the names of the two candidates and replaced them by the English League top soccer, reports say. Incumbent President AbdelFattah al-Sisi has been proclaimed winner of the presidential contest with over 90 per cent of the votes with turnout put at below the 47 per cent that allowed him to become president in 2014. Al-Sisi contested the elections against Moussa Mostafa Moussa, seen by many critics as a puppet of the regime. Serious potential challengers to Sisi bowed out or got arrested even before the start of the process, deemed unfair. 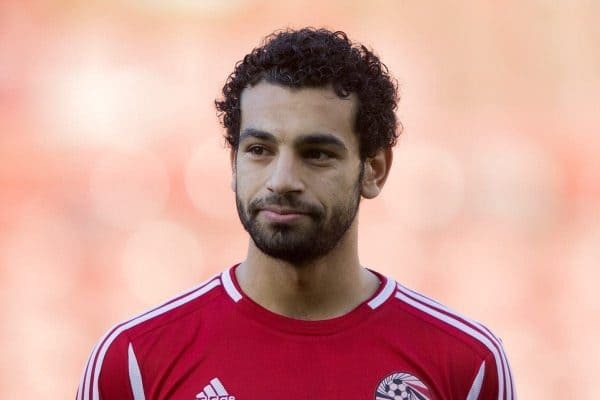 The Economist revealed that the Liverpool striker Mohamed Salah, who is credited for qualifying his country for this year FIFA world Cup in Russia, came second of the vote though not a candidate, as his name was written on many spoiled ballot papers. According to The Economist, the people who spoiled their ballot papers by writing in Salah’s name were more numerous than those who voted for Sisi’s only challenger, Moussa Mostafa Moussa. More than half the registered voters boycotted the polls at the call of the main opposition parties. The strongman has lost popularity over the regime’s crackdown on human rights and freedom of speech. Salah has risen to stardom in Egypt and the Arab world after booking a place for Egypt for the coming world soccer cup. The 25-year old soccer player is the current top scorer of the English Premier League and was named CAF African Footballer of the Year and BBC African Footballer of the Year. Written by: KanelkaTagba on April 2, 2018. Posted by KanelkaTagba on Apr 2 2018. Filed under Headlines, World News. You can follow any responses to this entry through the RSS 2.0. Both comments and pings are currently closed.